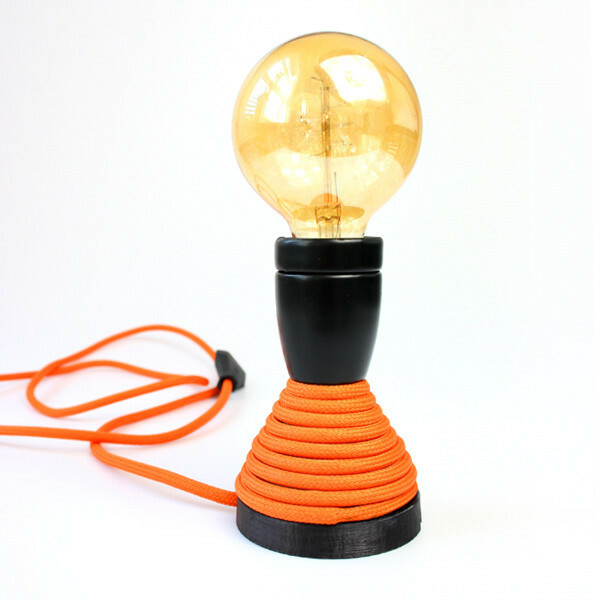 This Table Lamp has quickly become a favorite among our customers. 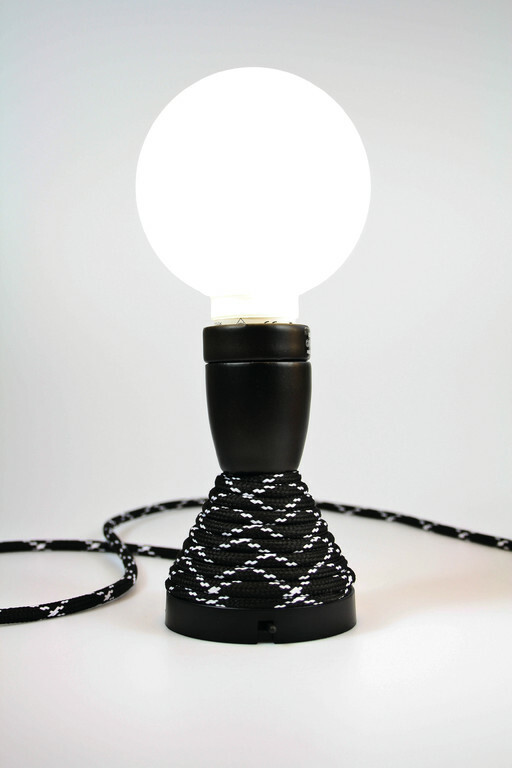 It can be used as a table lamp or be mounted on the wall. 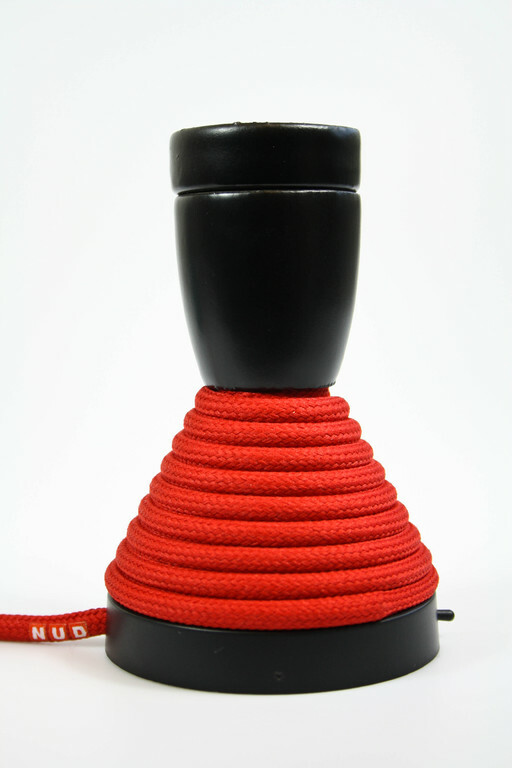 It’s is 12cm tall (without the Globe), a switch is located at the bottom. 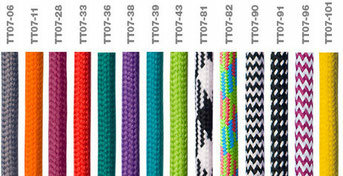 It comes in black or white socket and with any of our close (TT) textile colors. 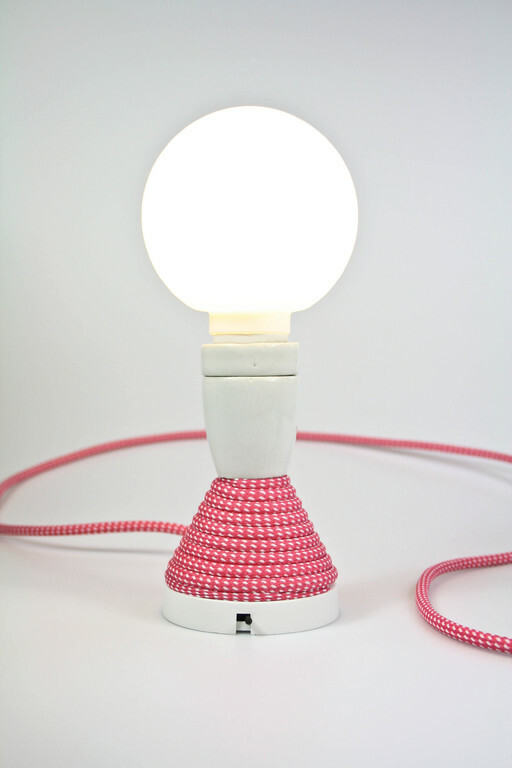 "You may have to wear sunglasses at first because this lamp is so pretty that you cannot keep your eyes off it." 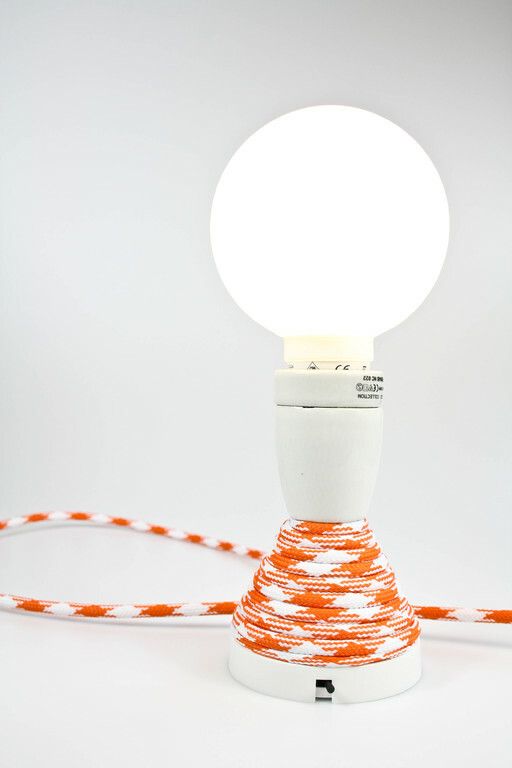 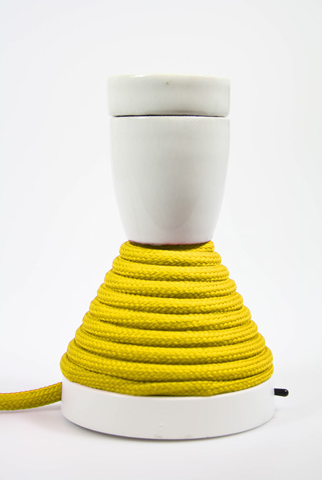 "The electric cable is beautiful, the bulb gives it much charm and the whole object is a design success." 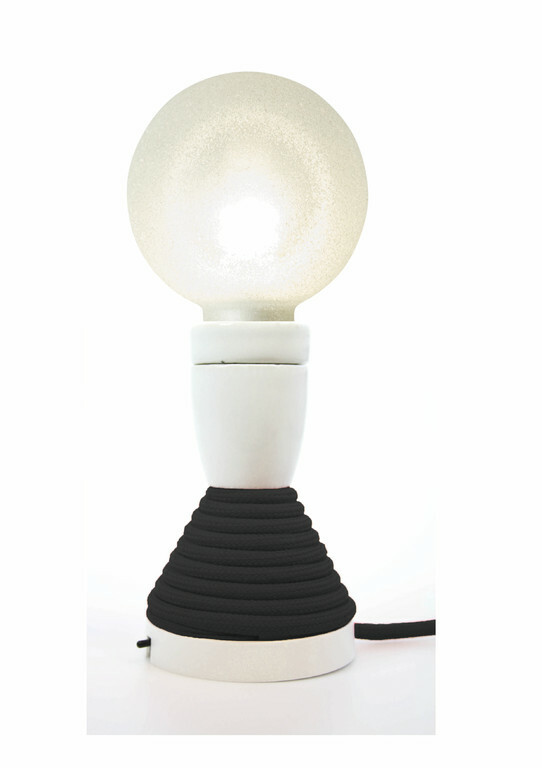 "Side lamps are often too massive and leave no room for anything else on the table. 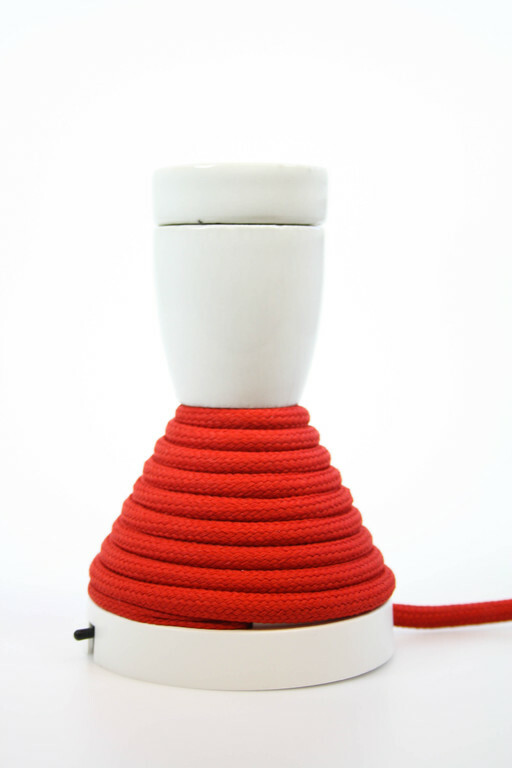 This lamp is simple, light and very pleasing."